This post provides 4 best app prototyping tools for your mobile App design in 2017. And how to choose the best mobile app prototype design tool. As we know, an amazing app design idea will be ruined by lousy interface and user experience. How to avoid this situation? There are many app prototyping tools emerging on to help us to solve this problem. 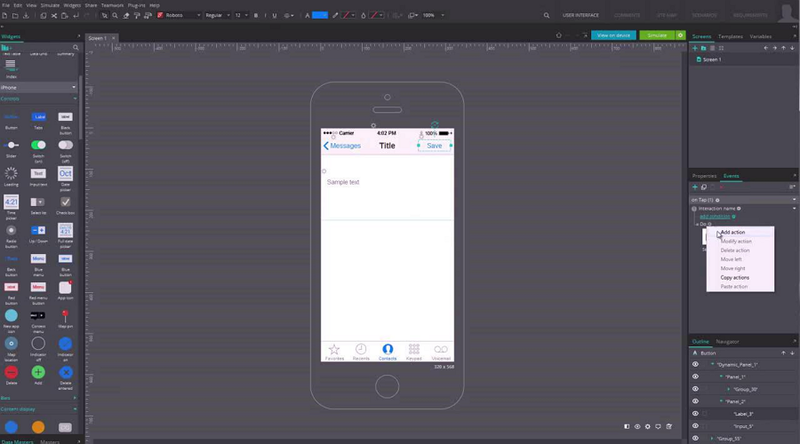 But how to choose the best mobile prototyping tools for app designers? Today, this problem will be solved for good. First of all, we need to know who will use our prototype, then to choose the best prototyping tool for the different purposes. 1. For personal or small design team: they are requiring of the design concept and design ideas, pursuing of high efficiency. In this stage, pen and paper or whiteboard will be the best choice to do the prototype, or a low-fidelity tool like Balsamiq Mockups is also suitable for the early stage of design. 2. For company executives, customers, investors: Prototype may not be required exquisite but at least beautiful. The interactive logic and element layout of the prototype should be close to the final product as much as possible. What’s more, the main process can be operated smoothly and be demonstrated on the mobile easily. In this stage, Mockplus is the best choice to achieve the realistic interactive effects. 3. For development team & visual designer: they may require a complete design process or the flow chart. 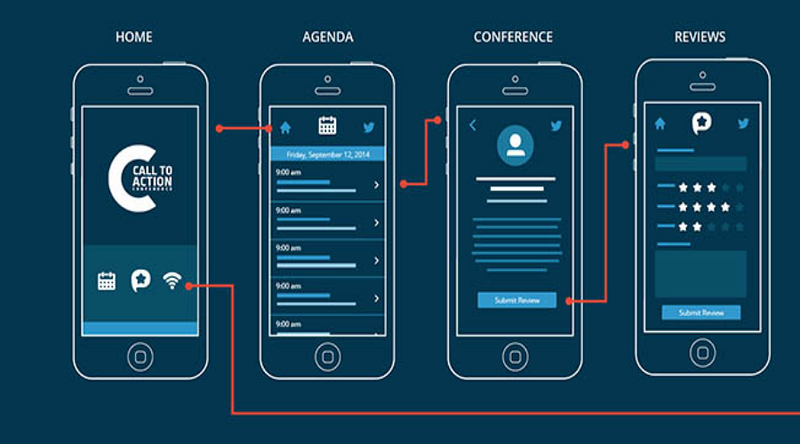 Fluid UI could refine the interactive elements and output the flow chart. 1. To provide custom component library specifically for the mobile. 2. Output the demo to the mobile to preview the effect easily. 3. Support the mobile gesture operation. 4. Support the transition animation in the switch of mobile view. 5. Quickly generate a complete flow chart. 6. It can produce low fidelity prototype, not much iOS high light gradient effect needed. 7. Rich component library and plentiful designers portfolios in the community for reference. 9. Online collaboration & version management. 10. It can do some unusual checks, such as a button without a link or a list is not in the vacant state. Think 360 is a Creative Digital Agency and Mobile App Development company based in Chandigarh (India). They partner with brands, agencies, and start-ups to create engaging content and meaningful customer experiences in the digital space. 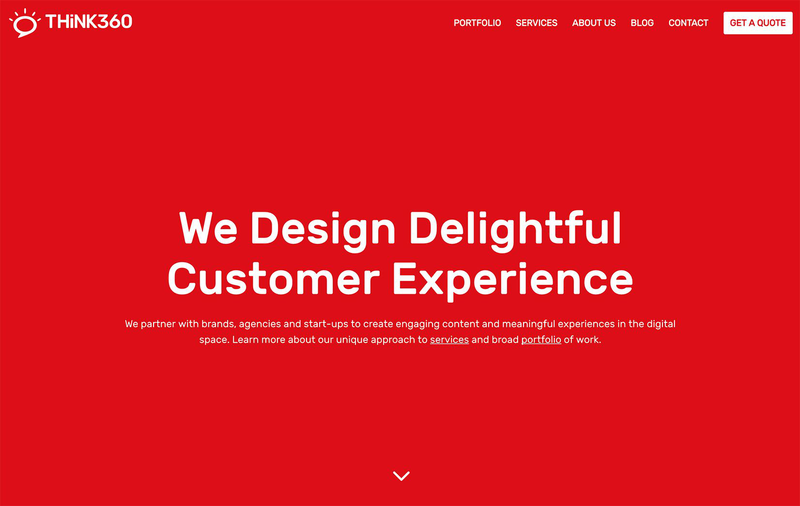 From digital marketing and content creation to branding and web/app development, they're more than just a web design company. They're your next digital partner. Fluid UI is an HTML 5 prototype design tool for mobile app development that helps designers quickly and efficiently complete the design of the product prototype. Mockplus is a quick and easy to learn prototype design tool, very suitable for novice product managers and designers. - Export the page flow at once. Cons: It does not support gesture operations, functions and dynamic panels. Perpetual version: $ 399 /month, no charge for additional updates. 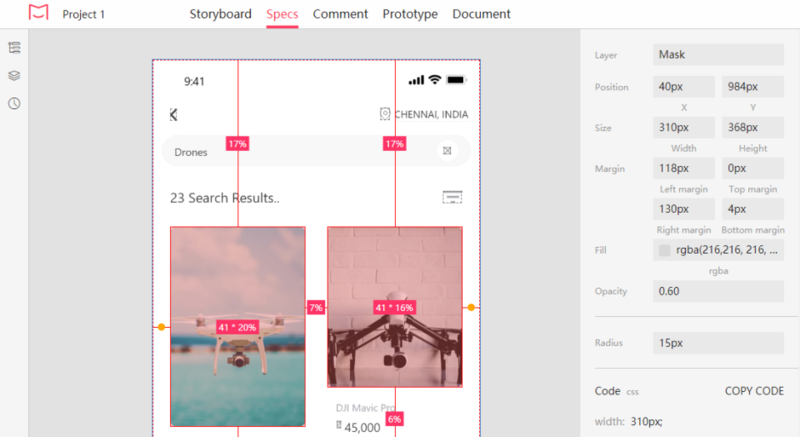 A collaboration tool for designers to handoff designs to developers with accurate specs, assets, code snippets, and interactive prototypes automatically. Cons: As a new and young design tool, it needs to polish every aspect of its features. The basic plan is member limited. The paid plan starts at $29/month. 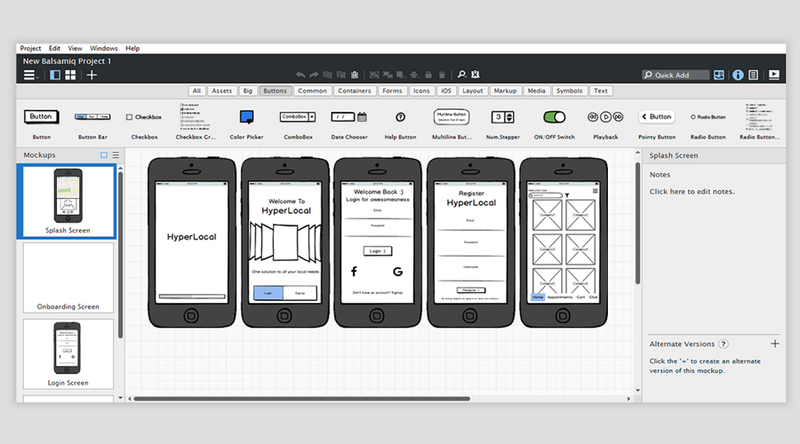 It is well known as a low fidelity wireframe tool that is used primarily for the early stage of prototyping. Pros: In the product design management, we have been quite clear about the product business processes and data flow, so we can consider the structure layer and framework layer. Although the paper and pen or whiteboard is a very simple and convenient communication tool, it is difficult to save the prototypes. Balsamiq Mockups can perfectly solve this problem. Convenient: You can use the toolbar to do the modification, and also can use the hidden edit box. Support cross-platform: It supports Windows, Mac OS, Linux, allowing to be integrated into Confluence, JIRA as well as the XWiki version. If you do not have time to download the desktop version, you can also use the web version of the Balsamiq Mockups. 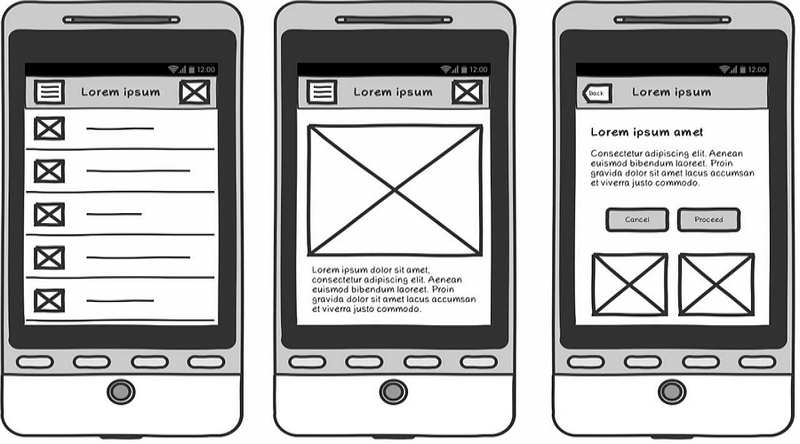 Cons: The prototype that Balsamiq Mockups produce is rough, no color and design style. It is only the layout of the design, can not be interactively displayed to others. 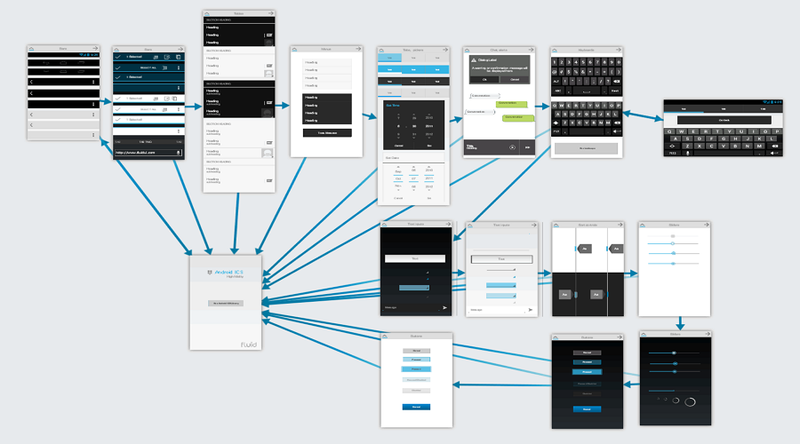 Justmind is a high fidelity prototype design tool for the mobile app design. It supports uploading the prototype to the server and provides it to others for testing. And the user note-based service allows you to put the prototype on a mobile device for testing. Pros: Justinmind supports gesture operation, and the new widget library includes all the Apple iOS icons and adds Android Nougat UI Toolkit. It's integrated with Microsoft Team Foundation Server in version 7.6.0, adding new ready-made screens such as Apple Music Playlists, Library and Player screens, and Apple notification screens. Cons: The learning curve is high. Because Justinmind is defined as a high fidelity prototyping tool, so designers not only need to know about the product design but also should understand the aesthetics. And it needs a specific browser to export HTML file and install the plug-ins. Perpetual version: $ 495, Justinmind perpetual version only supports one-year updates. If you want to continue using the new version after the first year, you need to spend an additional $ 99/ year to keep the updates. In short, drawing the prototype is to help the designer to clear their design thinking, and the prototyping tool will be the "best partner” on the road. A tool is a tool, the point is how to combine your own design ideas with the design tools to achieve the greatest value of the design. Above 4 APP prototyping tools are the best in the design industry, if you have any other recommendation, please leave a message in the below area.